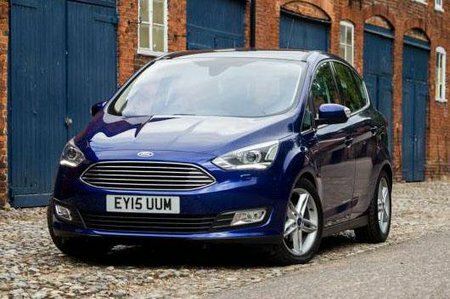 Ford C-Max 1.5 TDCi Titanium Navigation 5dr Powershift 2019 Review | What Car? What Car? will save you at least £3,532, but our approved dealers could save you even more. This is a popular choice for buyers wanting a more luxurious-feeling car and it’s not bad value given the equipment on offer. On top of Zetec, it adds the 8.0in touchscreen (although sat-nav is an option), climate control, auto lights and wipers, power-operated rear child locks, rear electric windows, cruise control and LED daytime running lights. You’ll still want to add rear parking sensors, though. This is our pick for company car buyers. By diesel standards, it’s a reasonably quiet engine and it’s got plenty of mid-range response to satisfy even long-distance motorway drivers.